CLICK HERE to listen to episode audio (3:50). All Web addresses mentioned were functional as of 1-12-18. From the Cumberland Gap to the Atlantic Ocean, this is Virginia Water Radio for the week of January 15, 2018. 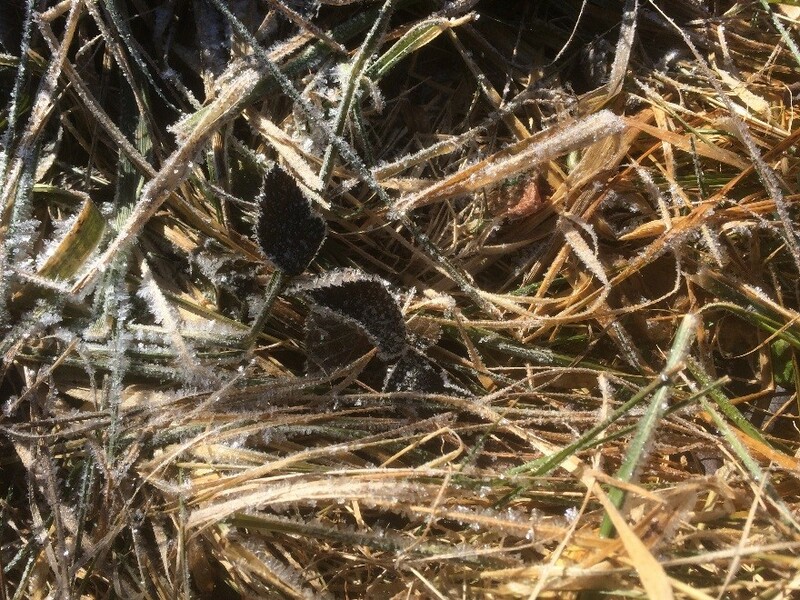 This week, those sounds of ice recorded recently on Claytor Lake in Pulaski County, Va., open a freezing-water episode written for Virginia science students in early elementary school, that is, about kindergarten to third grade. You’re about to hear two kinds of mystery sounds. When you do, see if you can answer this riddle: How are the two kinds of sounds the same, but also different? Here are the sounds. If you guessed that both sounds were water being put into a glass, you’re right! But the first sound was water as a liquid, while the second was ice, or water frozen into a solid. Now here are two more kinds of mystery sounds. Try again to guess what they are. 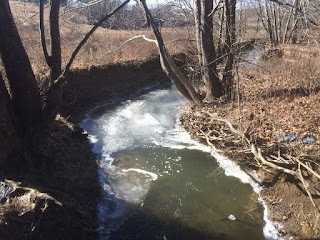 That was the sound of liquid water flowing in a creek, followed by pieces of ice on the creek’s edge breaking off and splashing into the flowing water. Just like a freezer can turn liquid household water into ice cubes, winter weather can often stay below 32 degrees Fahrenheit long enough to freeze some of the water on land or in a pond, creek, river, or even the ocean. And there are many words for different kinds of ice in those places, like anchor ice, flake ice, needle ice, pancake ice, and sea ice. Let’s try one more pair of mystery sounds, this time about ice safety. Any guesses about what you heard? The first was small rocks bouncing on an ice-covered pond, but the second was that pond’s ice breaking and sinking. That’s a reminder that thin ice can hold pebbles, but ice has to be solid and at least about four inches thick to hold people. So never go out on ice-covered water alone and not unless a grown-up checks it first. You can still have fun on the bank, seeing how far a pebble can bounce! 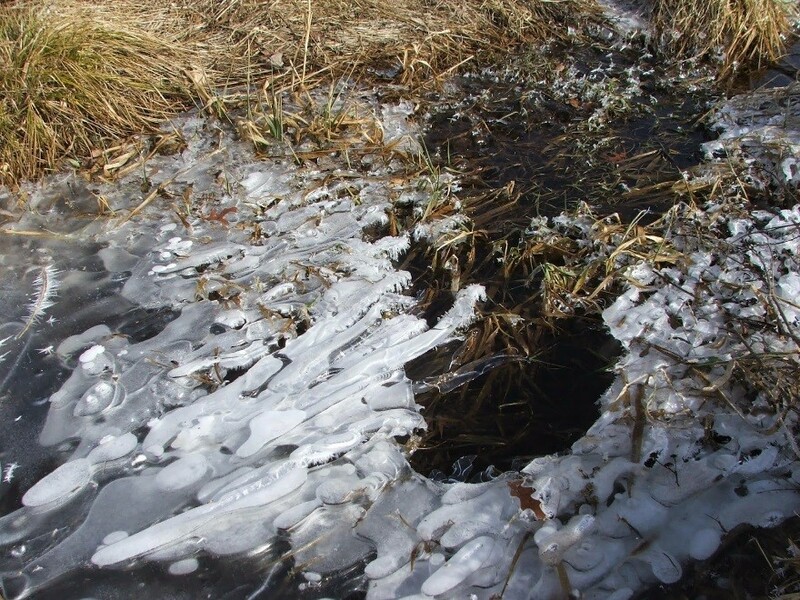 SOUND – ~3 sec – Pebbles bouncing on ice-covered pond. We close with a freezing-water question for you to answer. All living things have water on their inside. How come the water inside animals that stay outside during winter usually doesn’t freeze? Good luck finding some answers, and here are three hints: coverings, caves, and natural chemicals inside cells. [Here are three possible answers, not included in the audio. 1) Animals that generate their own heat—birds and mammals—have fur, feathers, or other coverings to hold in heat (like people have clothes). 2) Many animals can move away from freezing temperature through long-range migration or by finding more protected areas—such as caves or going underground—to spend the winter. This episode is an revised re-do of Episode 249, 1-19-15; that episode has been archived. 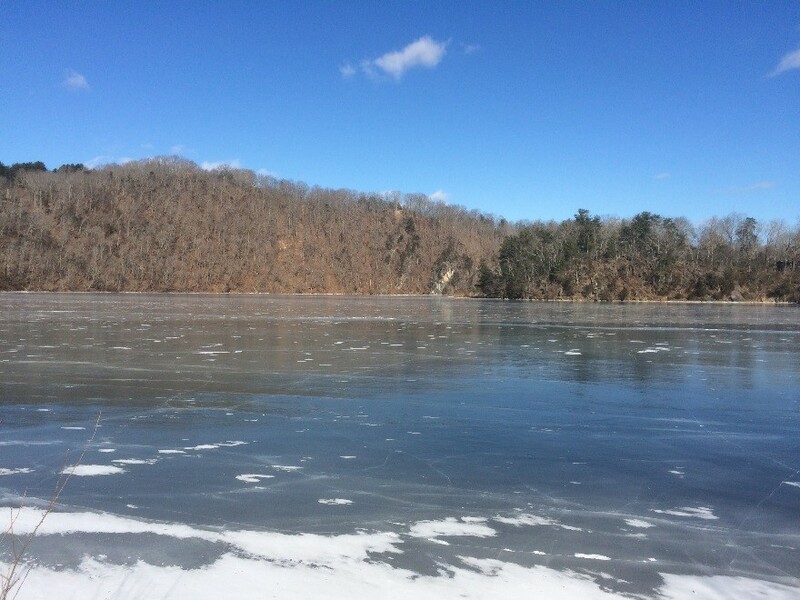 The Claytor Lake ice sounds were recorded at the Sloan Creek inlet of Claytor Lake near Draper in Pulaski County, Va., on January 6, 2018. The stream ice sounds in this episode were recorded at Toms Creek in Heritage Park in Blacksburg, Va., on January 11, 2015. The sounds of pebbles bouncing on an ice-covered pond and the sound of thin ice breaking were recorded at the Heritage Park pond in Blacksburg, Va., on December 28, 2012, and January 13, 2013. Thanks to passer-by Sam for help in recording the sounds of rocks bouncing on ice. 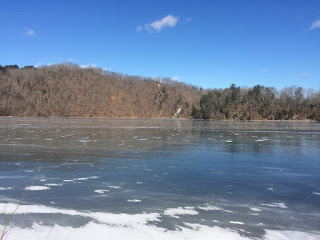 Ice on Claytor Lake in Pulaski County, Va., January 6, 2018. Varied patterns in ice formed on a shallow drainage channel in Heritage Park, Blacksburg, Va., January 11, 2015. Air pockets under ice on a shallow drainage channel in Heritage Park, Blacksburg, Va., January 11, 2015. Frost on the ground in Heritage Park in Blacksburg, Va., January 14, 2018. Ice on a seasonal pond at Heritage Park in Blacksburg, Va., January 14, 2018. 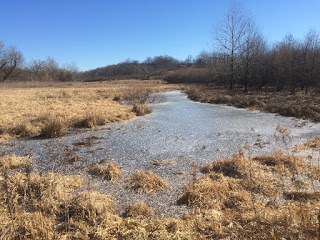 Ice on Toms Creek at Heritage Park in Blacksburg, Va., January 14, 2018. American Museum of Natural History, ‘Three Phases of Water,” online at https://www.amnh.org/exhibitions/water-h2o-life/blue-planet/three-phases-of-water/. M. W. Buck, Where They Go in Winter, by Abingdon Press, Nashville, Tenn., 1968. 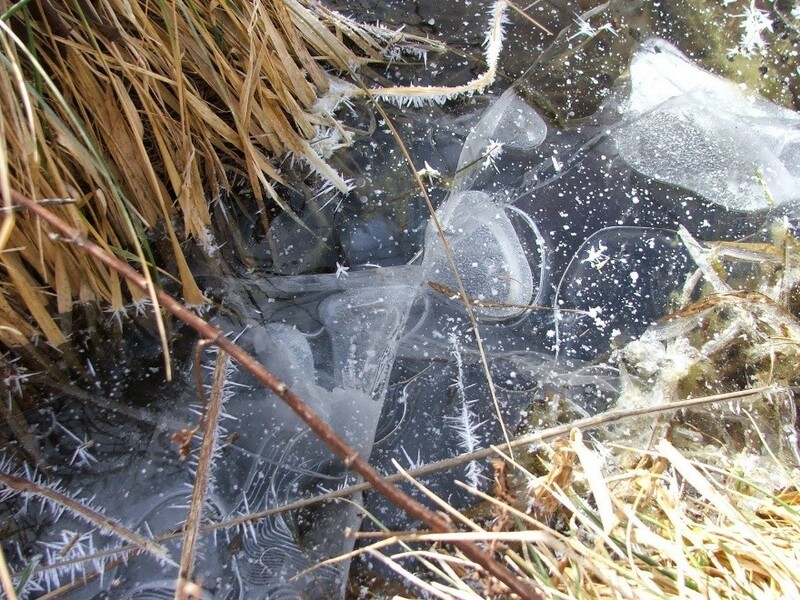 Iowa State University, “How Woody Plants Survive Extreme Cold,” Mar. 1, 1996, online at http://www.ipm.iastate.edu/ipm/hortnews/1996/3-1-1996/brr.html. Lake Superior-Duluth Streams.org, “Anchor Ice,” online at http://www.lakesuperiorstreams.org/understanding/anchorice_a.html; and “Ice Terminology,” online at http://www.lakesuperiorstreams.org/understanding/iceterms.html. Minnesota Department of Natural Resources, “Ice Safety,” online at http://www.dnr.state.mn.us/safety/ice/index.html. Dan Tinker, “These Animals Don’t Care That It’s Freezing Outside,” 12/14/13, National Wildlife Federation Blog, online at http://blog.nwf.org/2013/12/these-animals-dont-care-that-its-freezing-outside/. Phys.org, Living organisms need antifreeze to survive in the cold,” 2/18/13, online at https://phys.org/news/2013-02-antifreeze-survive-cold.html; and “Why fish don't freeze in the Arctic Ocean,” 8/25/10, onlne at https://phys.org/news/2010-08-fish-dont-arctic-ocean.html. Brian Rohrig, “Chilling Out, Warming Up: How Animals Survive Temperature Extremes,” ChemMatters Online Oct.-Nov. 2013 (American Chemical Society), online at http://www.acs.org/content/acs/en/education/resources/highschool/chemmatters/past-issues/archive-2013-2014/animal-survival-in-extreme-temperatures.html. Sarah Zielinski, “Eight ways that animals survive the winter,” Science News (Society for Science & the Public), Jan. 22, 2014, online at https://www.sciencenews.org/blog/wild-things/eight-ways-animals-survive-winter. NPR’s Skunk Bear (science channel on YouTube), “The Star Wars Sound Of Singing Ice,” 3 min./3 sec. video online at https://www.youtube.com/watch?v=OC7_zpyqCrU. Episode 332, 9-12-16 – on dissolved gases, especially dissolved oxygen in aquatic habitats, for 5th grade.